Would you like to win a $2,500 check that could be used to pay off grocery bills? Of course you do! 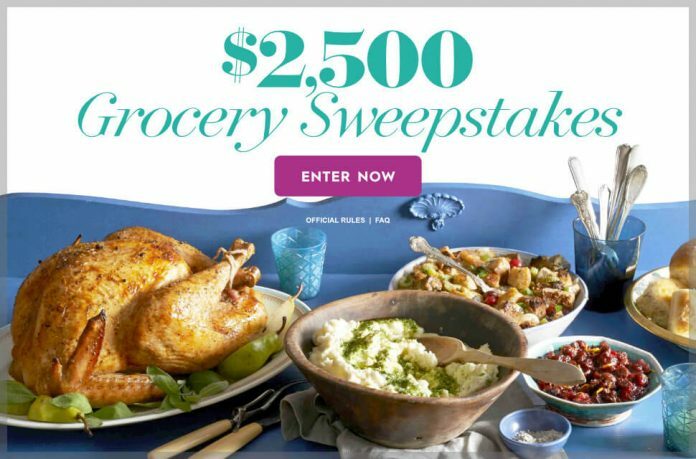 Well, go to bhg.com/grocery18 now and enter the BHG $2,500 Grocery Sweepstakes daily through December 31 for your chance to win. The BHG $2,500 Grocery Sweepstakes is open to legal residents of the 50 United States and the District of Columbia, 21 years of age or older. This Sweepstakes begins at 12:01 a.m. CT on 10/1/18 and ends at 11:59 p.m. CT on 12/31/1. One (1) entry per person per Website, per day throughout the Sweepstakes Period. The grand prize consists of a $2,500 check made out to the winner. SPONSOR: Meredith Corporation, 1716 Locust St., Des Moines, Iowa. Thank for offering a great grocery prize. I do have a real email address,iCloud.com is real from apple. You need to update your servers, because it's getting popular, and will be used by more people in the future. I was told that I couldn't enter the grocery sweepstakes's because my email wasn't workable. Big mistake! Thanks for letting me get a chance to enter. It will help me out very much.